When will be Cearcall next episode air date? Is Cearcall renewed or cancelled? Where to countdown Cearcall air dates? Is Cearcall worth watching? A look back at the current affairs series of the late 1970s and 1980s. This episode features several reports, notable among them the conflict between creel fishermen and trawlers off Skye. Creel fishermen from the west were losing creels and grounds to destructive trawls. Angela MacEachan reported on how creel fishermen were trying to get the authorities to keep trawlers out of sea lochs. Other reports include a feature on the YOP schemes and the aim of creating jobs for young people. The first business courses at Sabhal Mòr Ostaig were starting, as was the realisation that computers and electronics would form an integral part of the future. 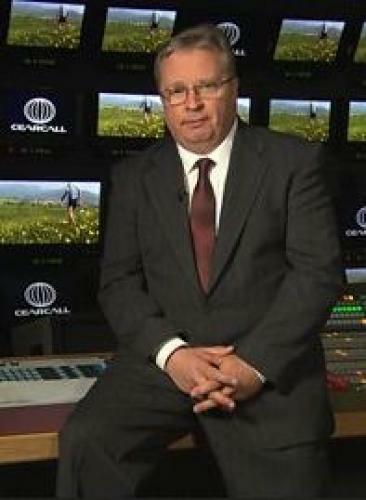 Presenter Donald Morrison takes a nostalgic look through the archive of the popular Gaelic current affairs series Cearcall. In the original series transmitted in the late 1970s and the 1980s, presenters Angela MacEachan, Murdo F Macleod and Martin MacDonald covered a variety of stories. This episode features several reports, notable among them a report on the IDP development scheme. The scheme was worth £20 million, a huge amount in the 80s. Crofting and fish farming were the main focus for development and every township applied for a share of IDP support. The second report is about Rhenigidale, which had no road to the village until 1990. Villagers could only come and go by boat or by walking for miles across moorland. The final feature is about education in the islands and how the council was planning to close small rural schools while also trying to encourage bilingual education. Presenter Donald Morrison takes a nostalgic look through the archive of the popular Gaelic current affairs series Cearcall. In the original series transmitted in the late 1970s and the 1980s, presenters Angela MacEachan, Murdo F Macleod and Martin MacDonald covered a variety of stories. This episode features several reports, notable among them how the community in Knoydart were unhappy with the news that the Ministry of Defence were planning to buy the local estate and use it to train soldiers. The second report features the port of Mallaig, with Angela MacEachen looking at the implications to local businesses of west coast ferries no longer stopping there. The final feature investigated the impact the closure of the pulp mill at Corpach had on forestry in the region. Presenter Donald Morrison takes a nostalgic look through the archive of the popular Gaelic current affairs series Cearcall. In the original series transmitted in the late 1970s and the 1980s, presenters Angela MacEachan, Murdo F Macleod and Martin MacDonald covered a variety of stories. The final episode features several reports, notable among them a portrayal of the activities of the Barra lifeboat, how work on the Tràigh Mhòr disrupted planes landing on Barra and how the Eriskay co-operative was reviving the island. Cearcall next episode air date provides TVMaze for you. EpisoDate.com is your TV show guide to Countdown Cearcall Episode Air Dates and to stay in touch with Cearcall next episode Air Date and your others favorite TV Shows. Add the shows you like to a "Watchlist" and let the site take it from there.